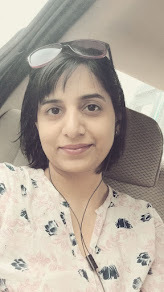 “Darr ke aage jeet hai” (Success lies beyond fear) – though it’s a tagline for a brand, I can’t agree with it more as I drive to go shopping or to pick up my husband from his office. Fear is fear. It is never big or small. We all have to fight our own battles against our fears. I have won one such battle. If you are also trying to win over any such fear, then this story is for you. People complain about the Bangalore traffic but it makes me happy sometimes when I am behind the wheel, waiting in the traffic. I drive occasionally so you might say that’s why traffic doesn’t bother me much but I tell you there is another reason for that. For a long time, I had an unusual phobia about riding a bicycle. While my friends and peers would ride their bicycles to school, to the city market, or just to play, I was struggling to make friends with gravity. To me, man riding on two wheels was a far greater invention than the wheel itself. After several years of attempting this feat, I gave up. On one pleasant summer evening, my mother persuaded me to give it another try. And eureka! It was magic when while riding I turned back to see that my mom was no more supporting my cycle. I felt super confident. But then, I realized that by this time I was a grown-up and my peers were already driving scooters. To my dismay, I found learning to ride a scooter again an impossible task for me. I was lean and found the vehicle too heavy to kick-start or even to put it on the stand. Once again, I thought of giving up. But then what remains in life if we stop trying? What remains of life if ‘to give up’ becomes a habit? So, after a few years of trying, untrying and retrying, I bought a light-weight scooter or Scootie as I would love to call it. In a short time, I learnt it and would drive it across our small city. With that, I learned something else too. That driving freely on Indian roads is not just a struggle to win over personal inhibitions but there is an additional challenge for girls – to ignore the mocking and staring eyes ready to pounce on you, to harass you at every opportunity, at every nook and corner especially in either scarcely or over crowded areas. Initially, the comments, the chases, the stares, the attempts to make me fall or even molest me scared the hell out of me but then one of my experienced friends advised me that ‘ignoring is bliss’ while driving on Indian streets. For a girl who struggled to ride a bicycle carefree, I can now drive a Swift. But it became possible only after years of crusading against my fears and not giving up. I smile and pass by when they crack jokes about the ‘lady behind the wheels’. I understand that maybe my driving is not as perfect as some guys, as many prejudiced people boast about. Maybe I overlook things while starting the engine, changing lanes, or parking but I have earned whatever little skills I have for driving all sorts of vehicles against all odds. After all, there are lot of men too who are not able to overcome their fear of driving even when nobody is out there to harass them or scan them from head to toe. So even if I drive badly, I have the courage to try irrespective of the judgmental and perverted eyes. As the tussle with my fears continues, I have discovered that trepidation towards doing anything is just a crawling spider. The more one lets it crawl the mind, the more it entangles the mind in its web. So the best way out is to kill this spider with a constant hammering of ‘Yes, I can do it!’ and this spider will turn out to be nothing but a myth. The feeling of winning over any fear is simply ecstatic. I have experienced it, what about you? Like you I was also afraid of driving bicycle and it was really embarrassing.